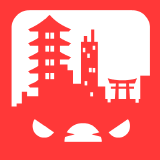 Teki Town is a group of game developers, dedicated to making fun games for the world. Money or fame is not our main goal, we just want to provide everyone with entertainment before we die, and hopefully that leaves a legacy that will survive in the future. We don't sell out, if we put our names on the title, you are guaranteed to get quality. History - Teki Town started off as 2 guys (Izzy & Keybol) making a web game called Kill The Plumber. There was no intent to get popular, but it ended up that way once the game was release on Dojo. We got a ton of Let's Players to review the game because of the concept and pop culture theme of it. We decided to expand on it since we got so much positive feedback and eventually decided on making a 'company' name. There are many more developers that are associated to this group, so check them all out! Zach Striefel - A freelance composer/Sound designer/audio engineer who has also worked on popular games like Epic Boss Fighter 1 and 2. Zach has also worked with Disney, Coca-Cola, Adult Swim, GSN, 4KidsTV, NBC Global and many more. Jim Kulakouski - A composer, producer, songwriter, and sound designer with over 17 years of combined writing and studio experience. He composes in various styles, including Acoustic, Classical, Dance/Electronica, Hip-Hop, House, Jazz, Orchestral, Pop, and R&B. He has released albums on iTunes, Amazon, Spotify, and many other online retailers. His music and sound FX have also been licensed for various productions, including short films, commercials, video games, audiobooks, podcasts and more.